If cost savings with a quality product is what you're looking for, contact Valley Truck Parts and schedule your old trucks today. We use New OEM parts and genuine Remanufactured Valley Truck Parts Components, Transmissions, Differentials, Steering Gears, Drive Line Products, Hoods, Cab Conversions and more. Warranty coverage varies depending on the extent of the refurb, as us for details. So if a new truck is what you need, but your budget doesn't allow it, then Valley Truck Parts has the solution for your fleet. Our Refurb Department was highlighted in the winter Issue of Bridge magazine, sent to many in municipalities and Road commissions across the State of Michigan. 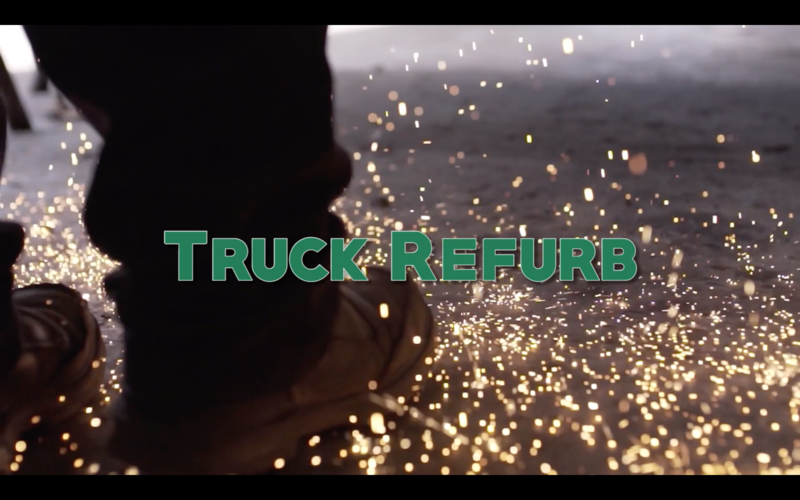 Valley Truck Parts now offers a cost savings refurbishing solution that gives older trucks new life. Whether it's just replacing the frame rails or a total ground up cab off restoration, Valley Truck Parts offers an assortment of options to restore that old truck and make it like new again but without the new price tag.